Okay, I admit it. I’m afraid of making decisions. It’s my kryptonite and here’s why. I feel like my very safety and well-being hang in the balance when I have to make a choice. It could be over something as simple as picking a movie. And once I finally do make up my mind, instead of moving forward with my life, I regret my choice and think up all the ways I could be better off if I just chose a different option. Way to live in the present, right? On some level, I’m confident enough to make certain decisions without much thought. For instance, I can pick out a pair of socks with no problem at all. This doesn’t induce stress. But that’s because if I’m wearing black jeans, then it only makes common sense to wear black socks. It’s a no-brainer. And if I’m wearing boots, who cares what color my socks are? In these circumstances, I’m able to throw caution to the wind and whimsically choose whatever color sock I delight in wearing that day knowing that there will be no negative consequences from my capricious choice. But, as with anything, it’s the level of difficulty that makes my condition so paralyzing. Picking socks is a level one, whereas deciding what to do with the rest of my life is a level ten, with ten being the most gut-wrenching, stress-inducing-to-the-point-of-throwing-up kind of level. This is the most basic way to choose. Let the fates decide. Now all you have to do is pick heads or tails. Which do you want? Come on, pick. The coin flips into the air. You must pick either heads or tails before it lands in the palm of the coin referee. Pick now! The stress will be over in three seconds. You shout out an answer. The coin is revealed and the pressure of choosing is behind you. Now that wasn’t so hard, was it? I’ve tried making a list, but I realized that I always try to keep both sides even and have been known to continue adding to the list for days. I can come up with an infinite number of reasons a choice is a pro and a con. So how do I break the tie? Well, if you do the same thing as I do then try this. Give yourself a time limit. I write as many pros and cons I can think of in one minute. Set an alarm so you don’t cheat. Then whichever side has the most pros is the winner. It’s almost as simple as flipping a coin. Except you get fifty-seven extra seconds to sweat over the outcome. This option comes in handy when there are multiple options to choose from, like choosing a new color to paint your bedroom. Just flipping through paint swatches gives me heart palpitations. Who knew there are more than a thousand shades of green? When you’re faced with this type of decision making, you must break out the cookie jar. Clean out the crumbs and fill it with tiny pieces of paper, each written with a possible choice on it. Close your eyes, mix them up and pick one. The amount of anxiety this induces depends on how long you choose to spend swirling your hand around the little pieces of paper before finally picking one out of the jar. The duration could be as short as five seconds or as long as five hours. I recommend erring on the side of speediness. This way you can get to the grocery store and refill that cookie jar pronto. I wanted to cut my hair short for a long time but I was just too chicken to make the move. Then I realized I was making way too much out of this and driving myself crazy. Obviously I was bored with my long hair, so why not go for a change? It’ll grow back. But I just couldn’t get up the nerve to let my hairdresser make that first cut. My fear kept me saying “just trim off an inch” like usual. But then I figured if I could think of the worst possible outcome and come up with reasonable solutions maybe I could get the nerve to finally do this. Maybe I’m a pessimist, but I found solace knowing how I could still go out in public with the sudden realization that I have Dumbo ears or a bony neck. If I could live with some embarrassing flaw until my hair grew back then what’s stopping me, right? When it comes to my hair, optimism is overrated. I needed to know how I was going to leave the house if every time I blew my hair dry it looked like I stuck my finger in a socket. I researched hair products, headbands and a wide array of hats. I armed myself with options until I felt prepared for anything. Also, simply knowing that hair grows about a half inch a month means I could hide my ears by summertime. Maybe faster if I increase my consumption of fruits and veggies. All of this knowledge gave me the courage I needed to give my hairdresser thumbs up to chop away. I’m happy to report I liked the change. I didn’t cry into my pillow every night or drape all the mirrors in my apartment with towels. I embraced my short hair. However, I did grow it out. I’m more of a long hair kind of gal. But at least I can say I wore my hair short. 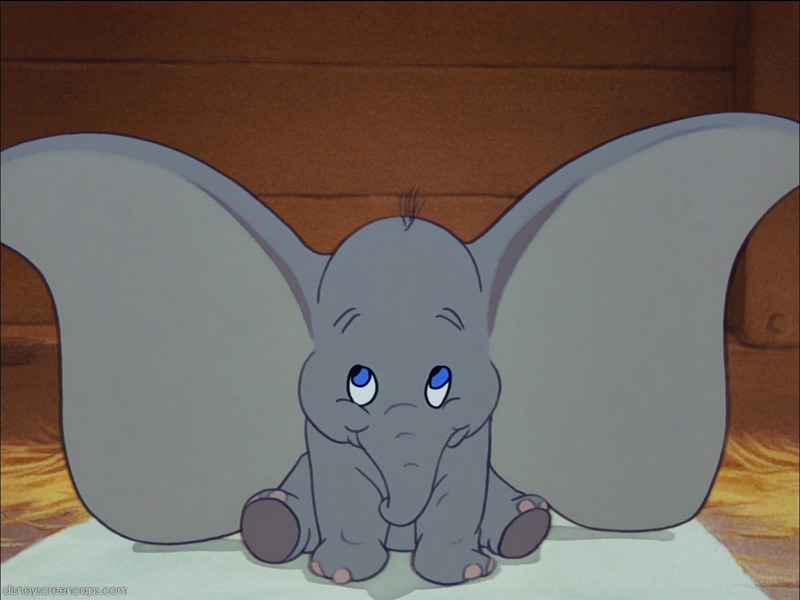 And that I don’t have Dumbo ears. Know that you can handle anything that gets thrown your way. Because you really can. When things don’t work out like you planned it tests your courage, inner strength, confidence and persistence. So what if you have to start over? So what if you realized that chartreuse color you picked for the bedroom is absolutely gross. Just go back to the paint store and buy another color. Get some pizzas and beer and promise your friends a fun day of laughter and painting. True friends will show up even if they said “I told you so” on that chartreuse choice. Live and learn. So there you have it. These are some of my tactics for making decisions, whether it’s a level one or a level ten on the stress scale. Next time you need to make a decision, just pick one of these options to help you choose. Oh no. Before you can decide, now you have to decide which decision making process to choose. Did I just divide by zero? What have I done?